The wait is almost over and now the hunt begins. 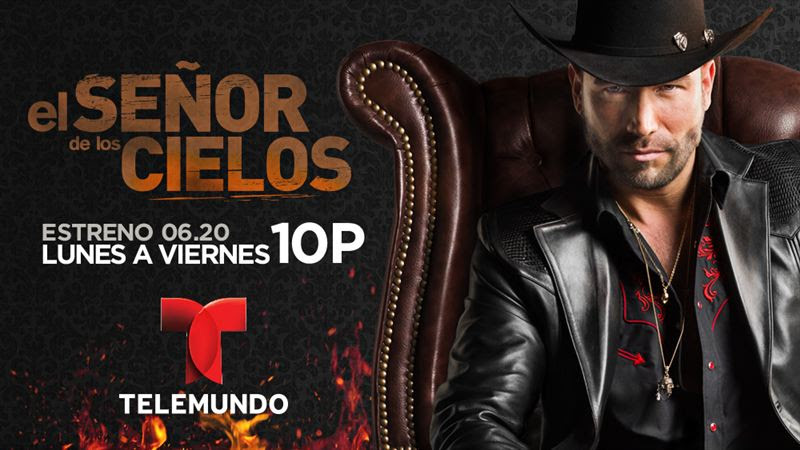 Telemundo announced the new season of its Emmy-award winning Super Series El Señor de los Cielos, starring Rafael Amaya, Fernanda Castillo, Carmen Aub, Mariana Seoane, Maricela Gonzalez, Sabrina Seara and Vanessa Villela, premieres Tuesday, June 20 at 10 p.m. ET/PT. In this new season, Aurelio Casillas (Rafael Amaya) has withdrawn himself from the action and his business to enjoy life with his lover, especially now that the authorities think he is dead. However, he knows he must prepare for an impending war with his nephew, which will end in a life-or-death struggle against his own family. The four previous seasons of El Señor de los Cielos have positioned this Super Series™ as the most-watched program at 10pm on Spanish-language television. In 2014, it won the first-ever International Emmy® award given in the category of Non-English Language US Primetime Program. The cast of El Señor de los Cielos also includes Lisa Owen, Alejandro Lopez, Jorge Luis Moreno, Plutarco Haza, Ofelia Medina, Jesús Moré, Ivan Tamayo, Manuel Balbi, Wendy de los Cobos, Ivan Arana, Rafael Novoa, Carlos Mata, Patricia Vico, Emanuel Esparza, among others. El Señor de los Cielos is an original Telemundo Studios production filmed in Mexico by Argos Televisión. Luis Zelkowicz wrote the script and Danny Gavidia and Victor Herrera direct, while Mariana Iskandarani serves as executive producer.